House of Correction, the cocktail bar downstairs from the Goldilocks rooftop, reflects the effortless class and hospitality Melbourne has come to represent. 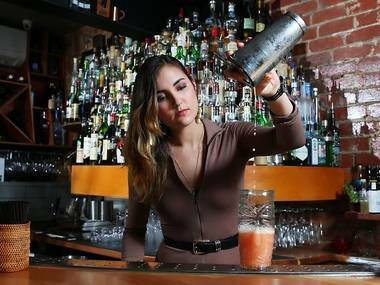 The cocktails on offer are made by some of Melbourne's friendliest and most experienced bartenders. Allocated numbers not names, these concoctions show up quickly even on a packed night, served elegantly in frozen glassware and garnished simply with a long twist of lemon, a pineapple leaf or a wedge of pink grapefruit. READ MORE.. Above Polepole restaurant, this African-themed cocktail lounge is all canvas tents, animal prints and safari swagger. Its big sister, 1806, has a tasteful if very hard-to-see sign, but downstairs hidden Understudy has a bit of a speakeasy vibe. 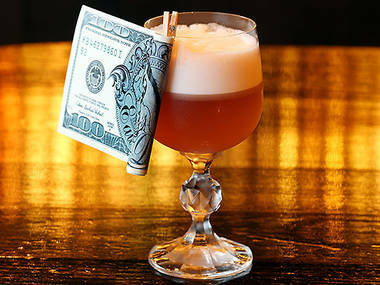 The cocktail list is full of undiscovered adventures too, including Smoke and Mirrors, which showcases Woodford Reserve Bourbon infused with chorizo sausage (that's right, sausage). 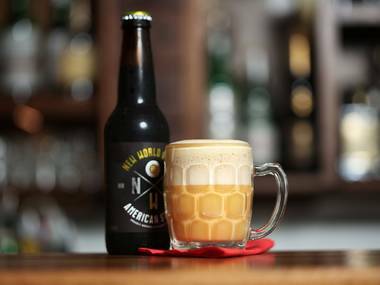 Keeping the citizens of Camberwell fed and watered, this unmarked hole-in-the-wall bar is a haven of craft beers and Cajun snacks. Tucked above a Chinese dumpling house, two-tiered Goldilocks offers seductive booths and a view-blessed rooftop, with easy-drinking cocktails and beers. Just getting to the Croft Institute feels like a little adventure. 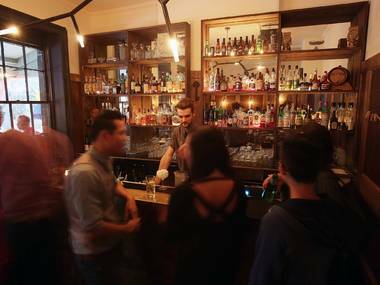 It's located at the bottom end of Croft Alley, and the bar is spread over three floors, each dimly lit and infused with a slightly creepy atmosphere. Grab a cocktail from the downstairs bar and watch it being made with some intense medical equipment.